Today the EEOC announced that the website used for filing the EEO-1s will be open in early March. The delay in opening the website is due to the partial government shutdown that affected the EEOC. They also announced that the filing deadline will be extended to May 31, 2019, from the previous deadline of March 31, 2019. Company contact updates can be emailed to E1.Techassistance@eeoc.gov. If your company has experienced any mergers or acquisitions between January 2018 and December 31, 2018, please email E1.Acquisitionsmergers@eeoc.gov. 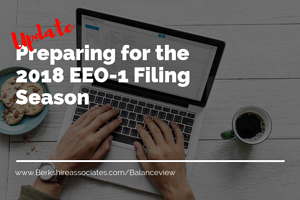 If you have specific questions about preparing your EEO-1 report, please contact Berkshire Associates at bai@berkshireassociates.com, or 800.882.8904. 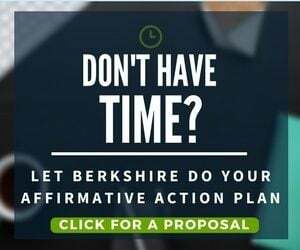 Click here to find out how Berkshire can file your EEO-1 report on your behalf.